The New Year is finally upon us! That went by fast didn’t it? Well, the amazing thing about the New Year is that it presents you with a great reason to reinvent your décor and add new rustic DIY ideas to it. The beauty of rustic farmhouse design is that most DIY projects can be created without a ton of fuss or requiring a gigantic budget. The 7 unique ideas highlighted here will hopefully get you excited and ready to start the year off right! Welcome to Wednesday. I wanted to give you some inspirations to motivate you for the weekend. This post will have you motivated for both in store and online shopping for these great farmhouse picks. I know that there is farmhouse decor on just about every corner. However, I didn’t know that Kirklands would have such a variety. The best news is they have both farmhouse and modern farmhouse. These choices will work for both the true farmhouse style and those that just want a bit more up to date. Etsy has become the go to place for almost everything from home decor, wedding, invitations, clothing, beauty, handmade, vintage, and antique. The list is so much longer than this and let’s face it we would be here for days trying to list them all. I am going to show you some great rustic and farmhouse decor under $20 on Etsy. That’s right under $20 for those budget minded folks that just love a good deal and saving money. Now that we can clearly get just about everything on Etsy it’s time to look at the bottom line. Since the majority of people love Etsy, they also love a good deal and saving money. You can still seek out great deals on Etsy and have a quality product to decorate your home. I am going to show you rustic and farmhouse decor that is under $20 (shipping may go over twenty depending on where you live) and will give your home just what you are looking for. Decor with farm animals is a big in the rustic and farmhouse decor. A rustic wooden sign maybe just what you need for your kitchen. You can grab this 11.5″ x 5.25″ (approximately) sign for under $20.00 (excluding shipping) from The Quirky Image. 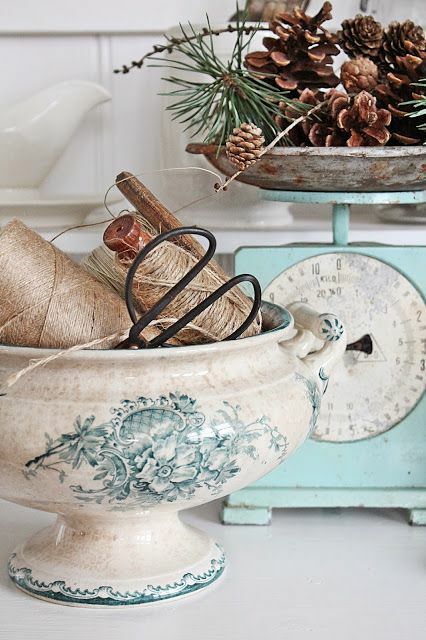 Antique Farmhouse….milk cans, crocks, galvanized, and butter churns. Milk cans are not just your antique farmhouse style of metal can. There are those that break the mold and feature the unique style of enamel. These are so great with the wooden handles and small chips on the enamel. They are very attractive and would make a great addition to any farmhouse look. Blu Ridge Vintage has had an interesting year. We started a blog, traveling to vintage shows and markets, dug deeper into Etsy and Ebay, created a Facebook business page, dipped into the Pinterest well. We stumbled, fell flat on our face, got back up, fell once again, got back up and dusted ourselves off. Now with a new attitude and approach we then began to crawl.